So some works will be done on the motorcycle. R 1150 GS 2001 83000km. One of them new clutch disk and clutch spring. Τhe previous owner had changed the clutch set to 30000km. I measured the clutch thickness at 78k and was about 5.2mm. I will change it proactively. Maybe I can rescue the two plates. By the way i have a noise with the clutch lever pulled and bike hot. I think of a clutch disk with long splines (Motobins or motorworks) for less problems in the future. do you have any experience with these clutch discs? The noise you hear when you pull the clutch lever is the failing slave cylinder bolted tot he back of the gearbox. It has a tiny ball-bearing that fits on the back end of the clutch Actuation Rod. Best thing to do is replace that Slave Cylinder and the seal that sits deep in the cavity where the Slave Cylinder goes. Might as well do that at the same time as you fit the longer-hubbed Clutch Friction Plate. 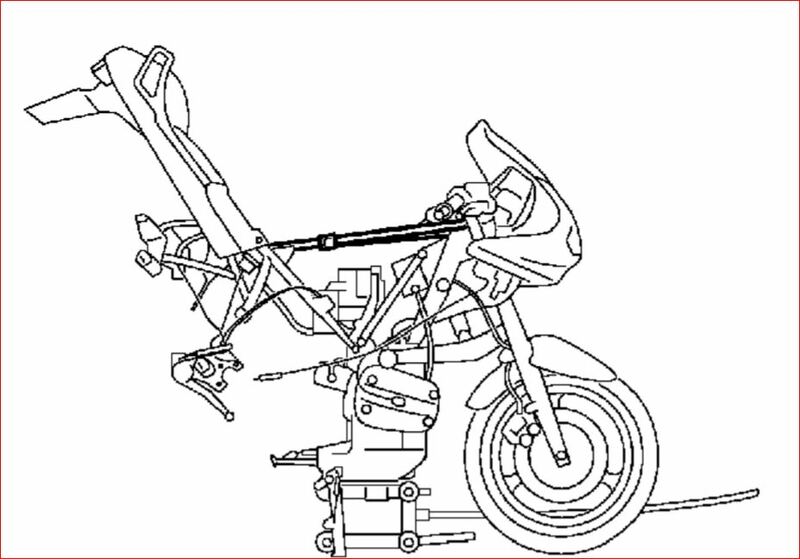 Because you have to split the bike, tail-up, to do the clutch maintenance. ¿ What makes you think a new Diaphragm Spring Plate is needed ? If there are no broken radial 'fingers', the spring is usually OK. The list of folks I'd trust with my bike. The noise you hear when you pull the clutch lever is the failing slave cylinder bolted tot he back of the gearbox. on the magnet were stuck small pieces of metal. not powdered metal. but pieces of metal like very small needles. steptoe? I will not get away from the gearbox rebuild? OK Neil, what is it then ? Knowledge, it doesn't come easy, it takes hard work and is a very valuable commodity. I had the same issues with my gearbox drain plug. The reason I checked it was because of a whining coming from the gearbox under load. When i took the gearbox off the shafts were really rough to turn, Mike @ overland and classics rebuilt the gearbox and said that the bearings were almost destroyed. Gearbox is good as new now. While I was getting the gearbox sorted I also fitted an extended spline clutch disc from motorworks, but tried to re-use the old clutch cover plates. What a disaster. After I had put the whole bike back together I spent the majority of 2 weeks trying and failing to diagnose / bleed the system as I thought it had air in it (new slave cylinder also). The lever would work after repeatedly pumping, but not on a single actuation. Long (and expensive) story short, the new disc was dragging on the old plates as they had worn unequally, meaning the clutch would not fully disengage with one actuation. Replace everything while you're in there. "Knowledge, it doesn't come easy, it takes hard work and is a very valuable commodity." He's in Greece for feck's sake, so there's no way he can impact on your business activities. Replace everything while you're in there. Definitely replace everything. After clutch slave failure in France last October and limp home several days later, I fitted a new Sachs kit but with the longer nose clutch plate (because why not), had the gearbox refurbed in an afternoon by Lord Scrimmy (because same) and changed the slave cylinder on my 1150RT. The transmission side of the bike feels so smooth now - it is absolutely perfect. Money well spent. Sincerely, you all helped me a lot! The gearbox will rebuild and all the bearings will replaced by new. Steptoe diagnose this a long time ago. By the video on youtube. The look of the magnetic gearbox plug confirms it. That you look it's not paste. These are small pieces of metal (3-4mm length) and thin like needles. I have really bad experiences from local service stores and my previous bikes. It is really very unwise to pay money for some problem and in a short time the problem appears again. No one diagnosed a problem in the gearbox. They told me: "these motorcycles sound like that" "these motorcycles sound like that" "these motorcycles sound like that"
For reasons like these and many many more, i have decided (before I even buy this bike) to fix it myself. I do not have much experience with diagnosis and I have some difficulty with it. This is the reason I ask questions for all of you. With the clutch I'm still confused. when the clutch will disassemble, then I will decide. there is and the noise with the clutch lever pulled and bike hot. I hope to fix this too. I will keep you informed of the progress of the work. Do u mean sachs clutch friction plate with long splines? If you are replacing the friction plate with a longer spline version you must replace the whole clutch assembly including the cover plates, regardless of how it looks. You can't tell how the assembly has worn, and will only see problems after you have re-built the bike. There's a divergence of opinion about the need to replace the entire clutch-pack just because you want to install the 'new' longer-hubbed friction plate. I've done two in the last month and the third bike is is awaiting my return to Spain carrying the new Motorworks plate for my Spanish pal. They had about 20 in stock last week. All three OEM clutch-packs seem fine, except of course for tiny signs of wear on the OEM Sachs friction-plate hub and even tinier signs of wear on the splined input shaft; a trace of blue-ing could be seen here and there on the shiny parts of each clutch-pack, but nothing serious. So for me, it's just replace the friction plate in all three bikes. the motorbike was disassembled today. a full clutch assembly will needed to instal. cover plate and pressure plate have worn enough. The input shaft front bearing has enough worn. No damage. Enough worn and freeplay. The good news ... input shaft spline is in excellent contition! The gears of the shafts are in excellent contition! The slave cylinder is in excellent contision too! The last year repair works fine! Tomorrow cleaning, better inspection and photos. I ll be back with new photos. ps. Last one helps me to remember my bike!